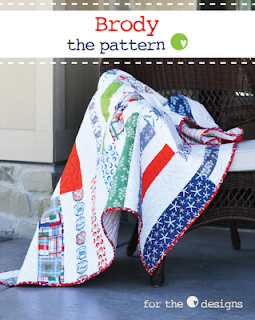 Lu has generously offered to give away three patterns of your choice, to two lucky winners! In order to enter, please visit Lu's pattern shop then come back and leave one comment on this post telling me which of her quilt designs is your favourite. I will leave the giveaway open until next Saturday, June 23, 2012, 5pm PST. I will contact the two winners by email to find out which three patterns you would like, then the patterns you choose will be emailed directly to you by Lu. Your "Frankie" turned out beautifully and has really gotten me thinking more about trying one of Lu's patterns. My favorite is the Nina. I love the chunky herringbone design. Thanks for the chance Heather! 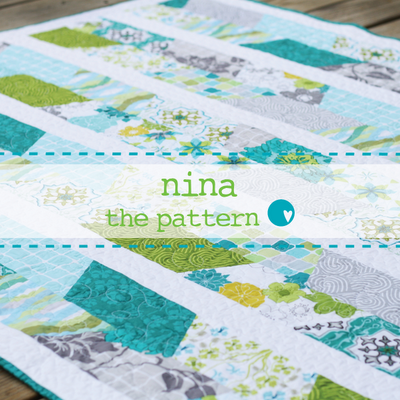 I like a bunch of her patterns, but Mx is my favorite :-) Thanks for the chance to win! I like Max and Katie! They look simple and fun! I feel silly saying this, but I like Katie best! They are all lovely patterns, but I really like "Shelby". Adorable patterns...love Zooey the best! I love the googly eyes quilt - looks tricky but so effective! Googly eyes is my favorite. Thanx for the chance! Awesome. I really do love Franky, thought Nina & Katie are close seconds. No doubt about, Frankie is amazing! But, I also love Katie and Shelby! Would be a tough decision, but I'm willing to take a shot at it! Thanks for the giveaway Heather. Love her patterns! I would love to have Shelby , Frankie and Googly eyes....they are so cool, I love that they are pre cut friendly too.. I LOVE Shelby, although they are all so cute! Oo, tough choice, but I love the Nina quilt. Your "Frankie" Quilt turned out beautiful! This pattern and "Katie" are my favorites. Thanks to you and Lu for this great giveaway. I like Frankie the best - hard to choose as they're all lovely. Thanks for the giveaway. I love the "Katie" pattern, her color choices are wonderful for little girls. The Nina is my favorite. Thanks! Thanks for sharing Heather. I did not know about her patterns and they are wonderful! I think I know a certain boy in my house that would like the googly eye pattern! Frankie is my fav, with Nina right behind. Thanks for the giveaway. Great patterns! Shelby is my favorite! Frankie is a close second! :) thanks for he chance to win! Google Eyes is my favorite, I just love modern funky patterns! Thanks for the chance to win them! I love her patterns. Very fresh! I would really like to win Nina. Thanks for a chance, Heather! I really love what you did with the Frankie pattern! But Shelby has to be my favorite! I love the Shelby but all of them are great really. Already a follower of hers, she has the most adorable patterns. But my fave at the moment is Shelby! It's so adorable! Love your Frankie quilt, colour combo is gorgeous! My favorite patterns in order top to third are: Frankie, Nina, and Shelby. Thanks for the lovely giveaway and introduction to a "new to me" shop. Her patterns are so fun! Love your Frankie. We love Lu. Brody is hanigng in our front window right now. I think Googly Eyes is cool! thanks! 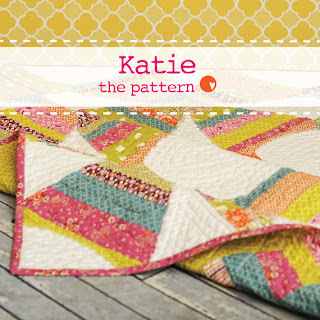 I love the Katie quilt!